The Gunnison River is constricted to just forty feet in The Narrows, the narrowest stretch in an 1,800 foot deep, nearly vertical canyon. In just a mile and those 1,800 feet, you can reach the bottom, where the river roars, and talks. 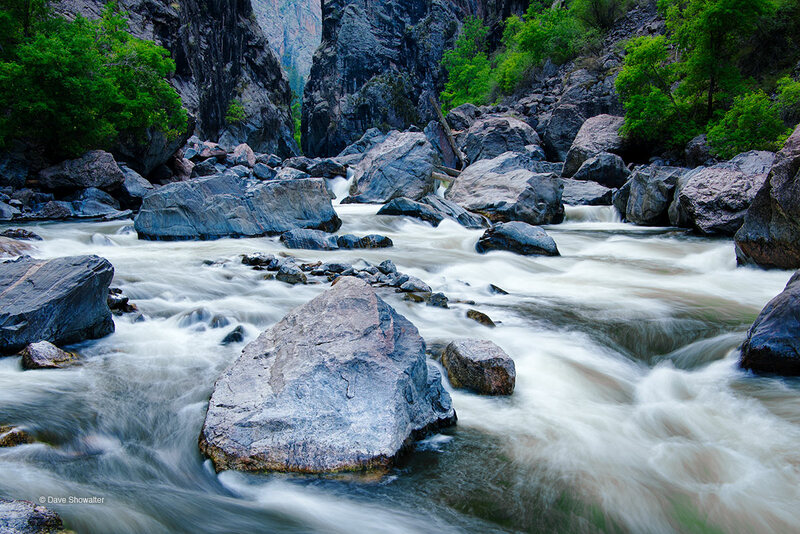 The Gunnison is a major tributary of the Colorado River, with its headwaters in the Elk Mountains. Photo © copyright by Dave Showalter.